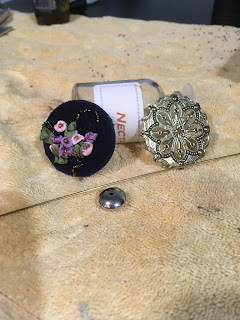 Inspired by post from Lynn at Out of a Portrait.com and wanting to get back into silk ribbon embroidery I pulled out some old supplies and a old Mary Jo Hiney instruction booklet that included a couple of cute hatpins. 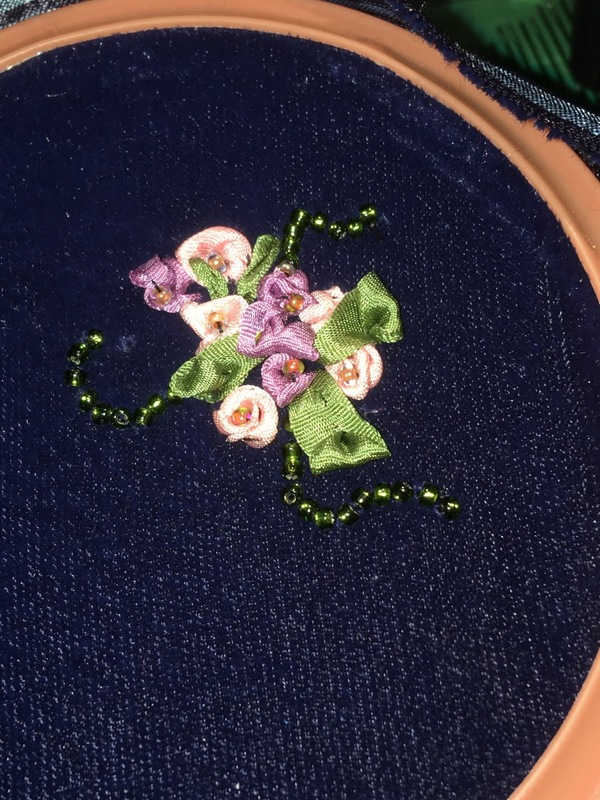 I had some scrap pieces of dark blue velvet so I embroidered a small design. My thought was to create a cute little ball stuffed with quilt batting but it ended up looking like a dark blue marshmallow. On to plan B.
I had some large button making supplies, you know the ones you can pick up at JoAnn Fabrics and cover with your own fabric. 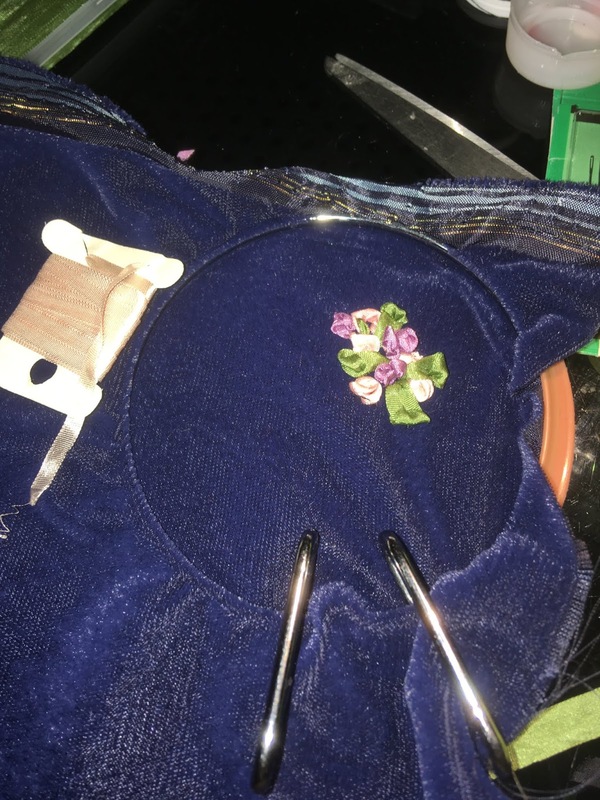 I used the embroidered fabric, covered the button and used some of my metal charms and jewelry findings and a little E6000 glue. 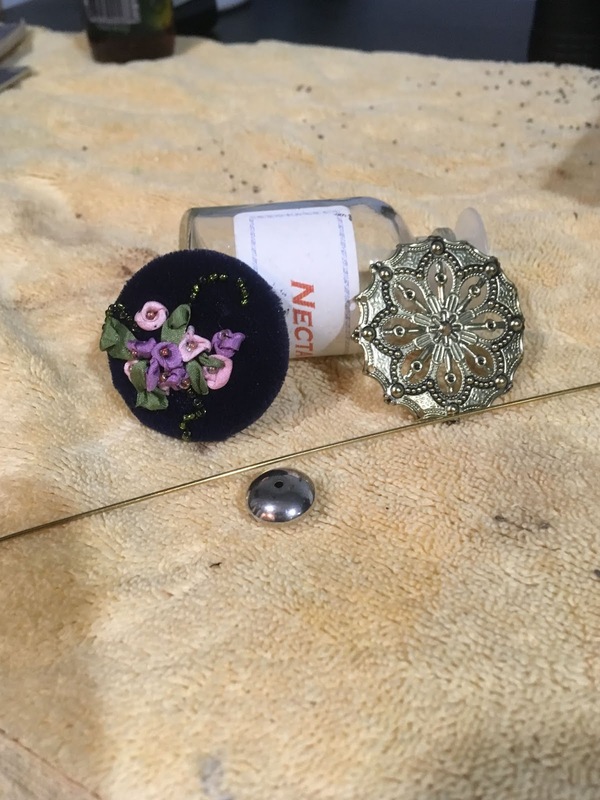 I learned a lot in this process and I sure have a lot of supplies and can turn out a few more hat pins. Maybe I'll open an Etsy shop. Back when the Great Bay Area Costumer's Guild (GBACG) was just a year old we put on one of our largest and most ambitious events. 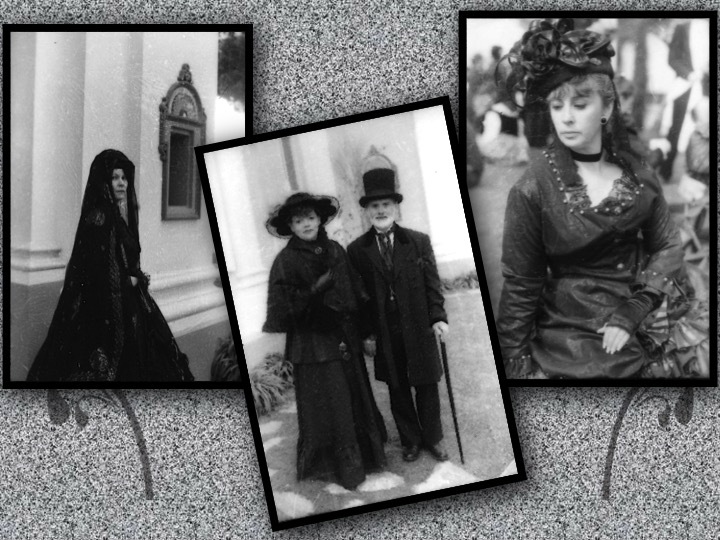 Jwlhyfer de Winter and I (Jana Keeler) co-founded GBACG and Victorian Mourning was a passion of Jwlhyfers so why not create an event where we can dress in our finest black mourning. 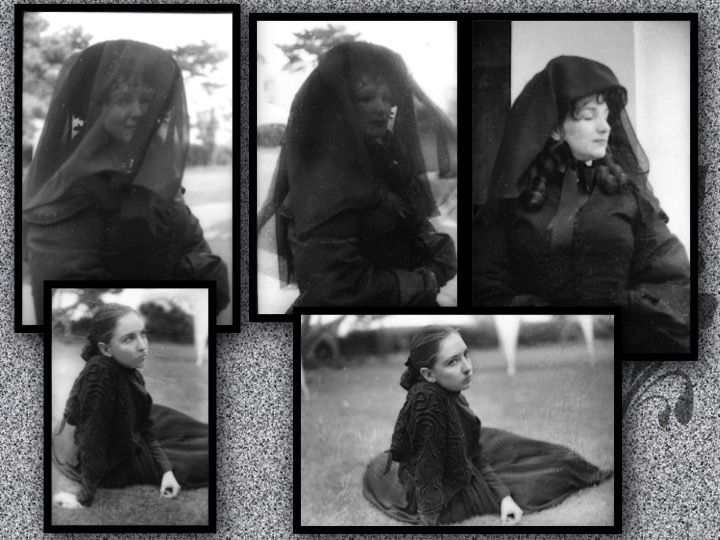 Jwlhyfer put together an incredible display of authentic mourning costume, jewelry and memento mori; even singing some haunting Elizabethan and Jacobean songs about sorrow, sleep and death,, accompanied with Jennifer Holmes. 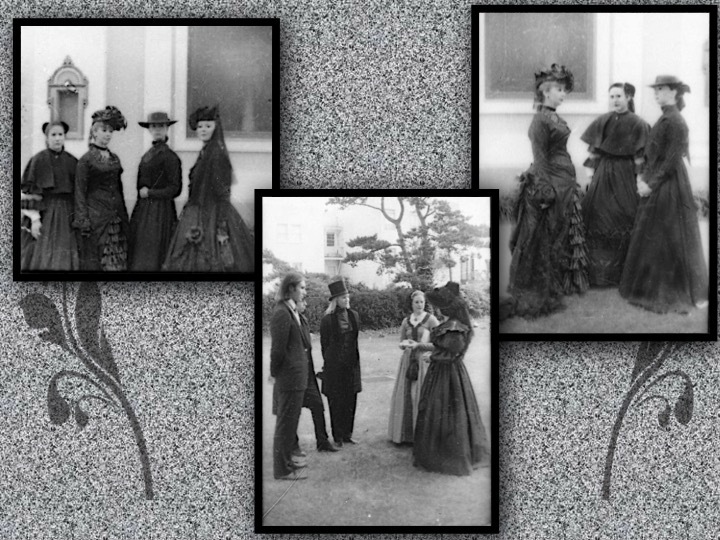 An elegant high tea was served by costumed "servant" volunteers. Our host for the event was the Neptune Society's Columbarium--the only structure left of what was once a massive cemetery out in the Sunset area of San Francisco. Perhaps most haunting was that just as our event was taking place the devastating Oakland fire was raging, changing the skies to a smokey orange. 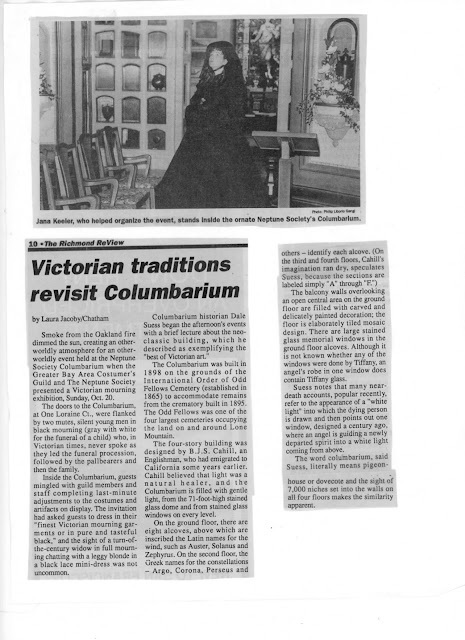 In the days before cell phones and instant news it wasn't until someone caught a glimpse of the news in the Columbarium office that we knew what was going on and why the air tasted of smoke. 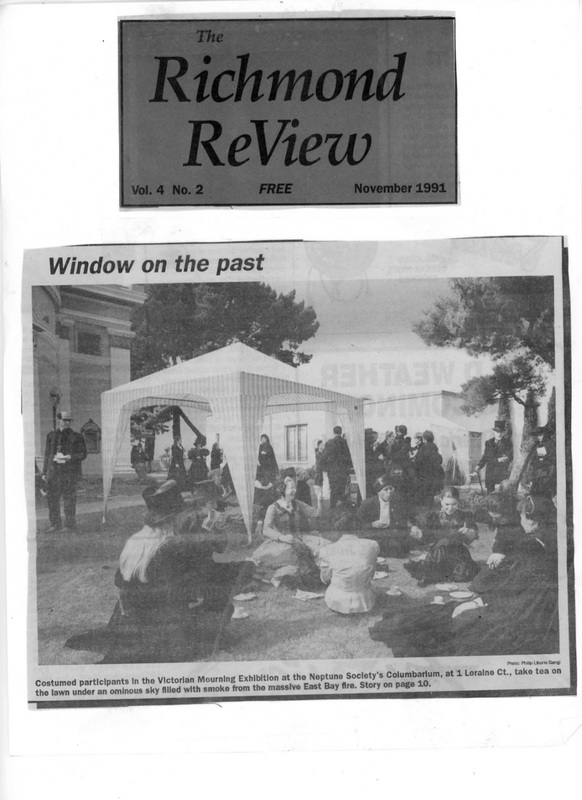 Enjoy the photos of the day (note: the date is incorrect on the 1st photo, it was October 20, 1991. To read Chapter II click here. The S.S. Gellert left Hamburg, Germany on Nov 4, 1880 and arrived in New York on November 15th. We can only imagine what Victor's first night in America was like. He needed to find a place to sleep, look for work and deal with a new language to learn. As I mentioned before history tells us there was a very large German population in New York and many new German immigrants started their own businesses. 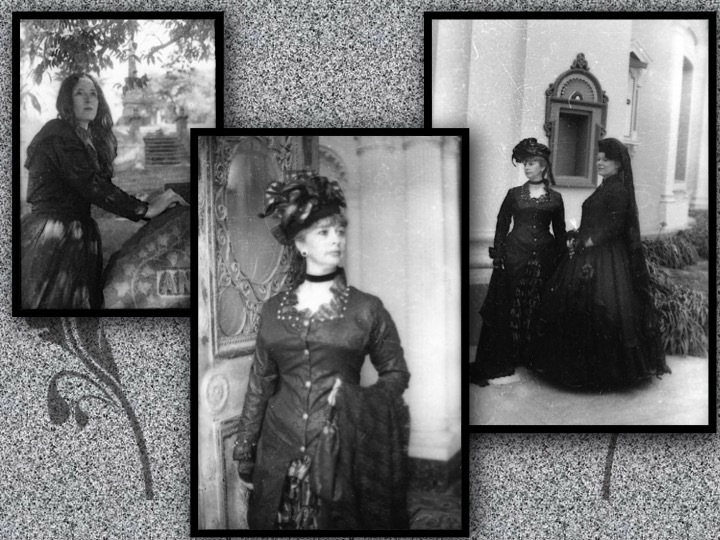 At some between his arrival in New York and 1884, Victor was in Chicago and met his first wife, Anna "Annie" Hubman. in Germany. George Hubman was born in the Württemberg area of Germany in October, 1830. 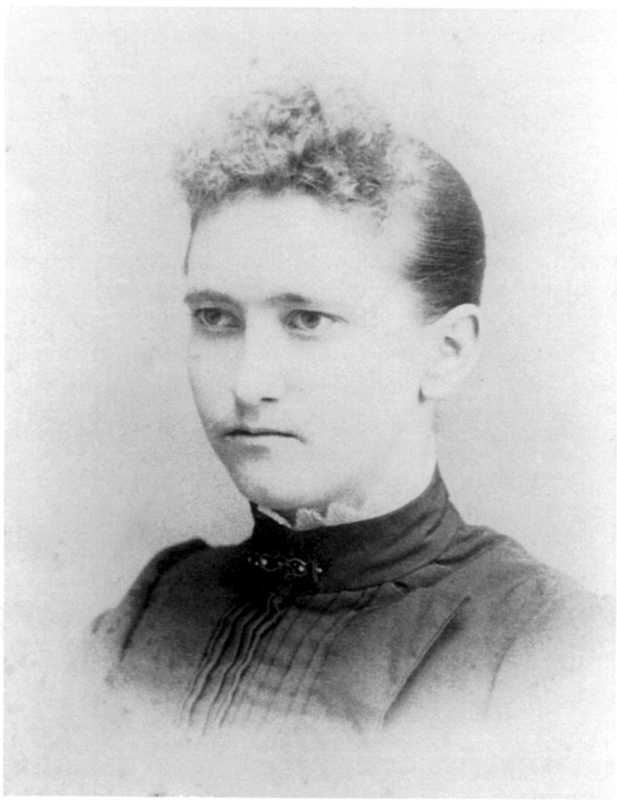 His wife, Phillipina "Phoebe" Trunzer was born in Kirchardt, also in Württemberg on May 3, 1836. 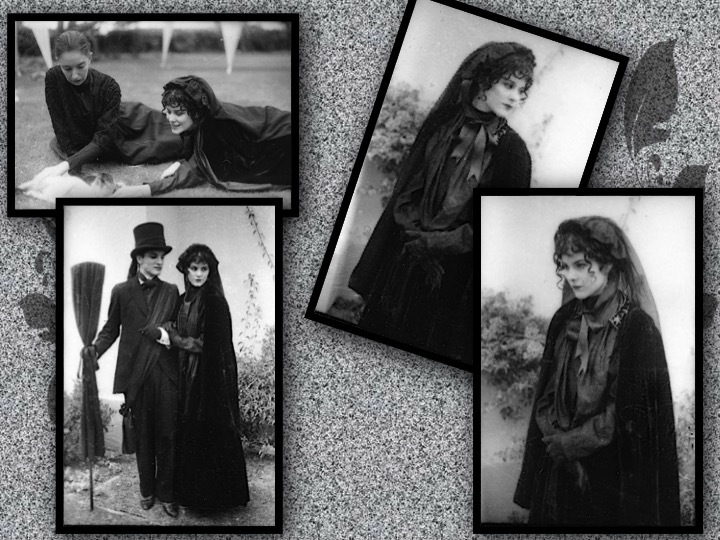 George and Phoebe were married on November 26, 1857 in Philadelphia, Pennsylvania. 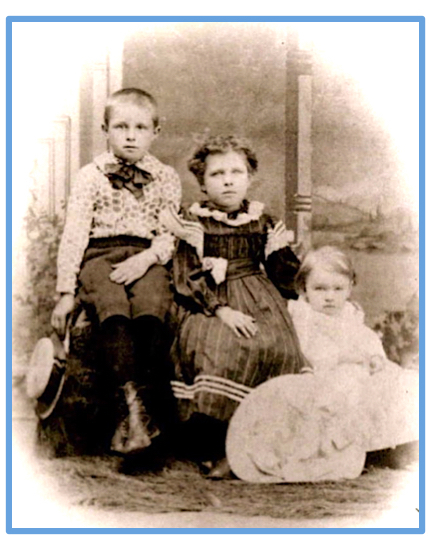 In 1860 George and family were living in Greenwich, New Jersey where he was a Laborer. In 1870 they were living in Mantua, New Jersey where George was a Groceryman. 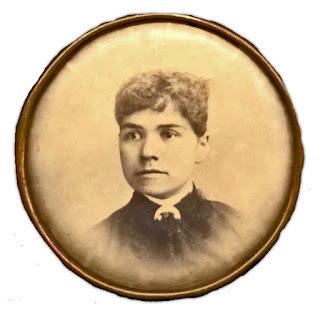 By 1880 the family had moved to Chicago but Anna was not listed on the Federal Census for that year--she was working as a servant for the H.J. Corwin family in Hyde Park, Chicago. Mr. Corwin was a manufacturer of Oil and Paints. I'll leave it up to all our imaginations on how Victor and Annie met. 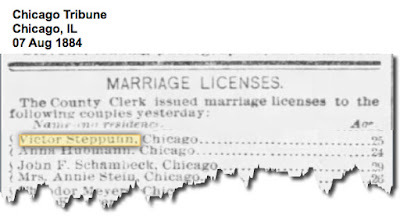 I don't have a picture of their marriage license but on Ancestry there is a link to Cook County, Chicago records that show they were married on August 7, 1884 in Chicago. 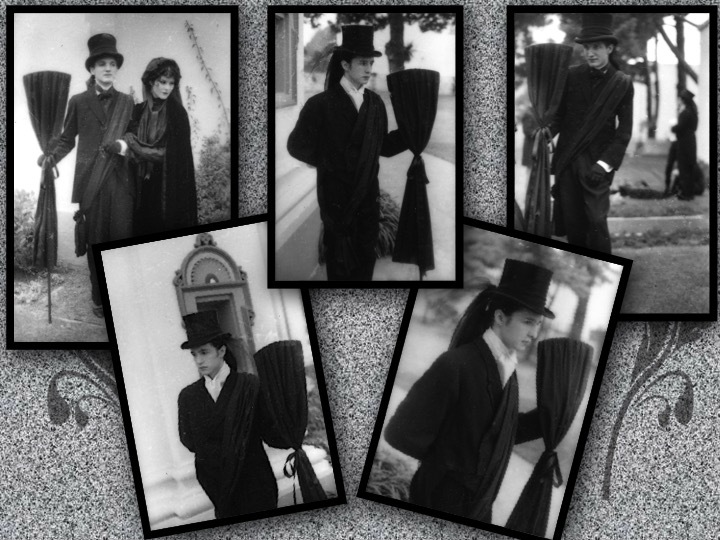 Victor was 25 and Annie was 24. For the time they were a bit older than most couples. 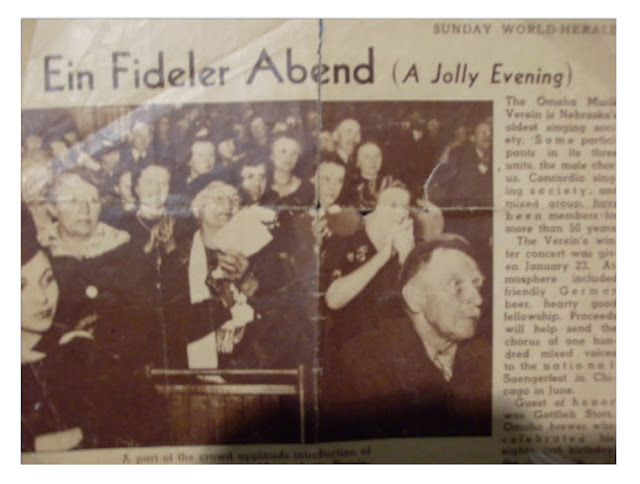 I also found a newspaper article showing they were issued a marriage license the same day. I don't know if they were married at the courthouse or if they had a small family affair with her parents and family in attendance. George Victor Steppuhn was born May 9, 1885 in Chicago. There are no Census records from this time so we don't know if the couple had their own place or were living with Annie's parents. Chicago was a bustling city in the 1880s and saw the beginning of skyscrapers to facilitate booming business growth. Victor looking very dapper with Baby Rose in fancy buggy! 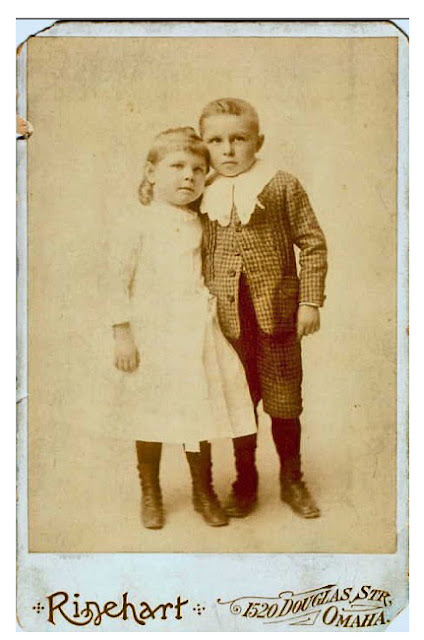 By 1887 we know that Victor and Annie are living in Omaha, Nebraska because their second child, Rose, is born on January 10, 1867. 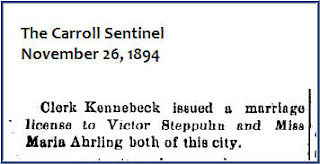 In the 1889 Omaha City Directly it lists Victor and family living at 314 N 18th St and that his occupation is listed as a Clerk. Where their houses would have been now stands the US District Court House. I believe Rose was named in honor of Victor's mother. In 1890 Victor became a Naturalized citizen; we know this from the 1920 Federal Census. In the 1890 Omaha City Directory the family has moved to 1310 S 13th. 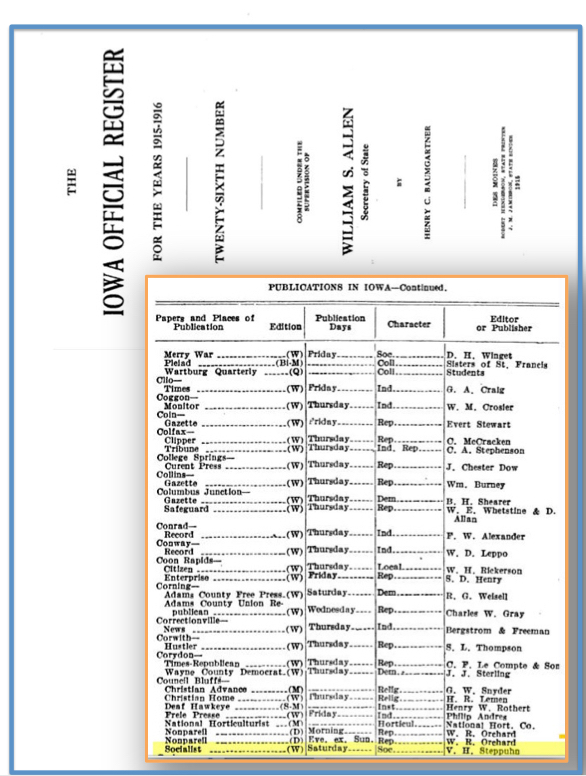 City Directories are a wonderful tool for genealogy research. It usually list an occupation and a spouses' name. 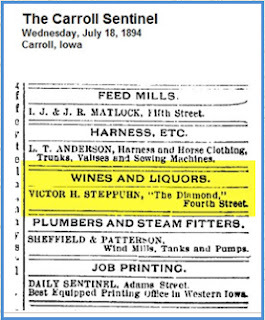 The 1890 Directory lists Victor's occupation as a traveling agent for the E. Musselman Company, possibly a wholesale liquor house. 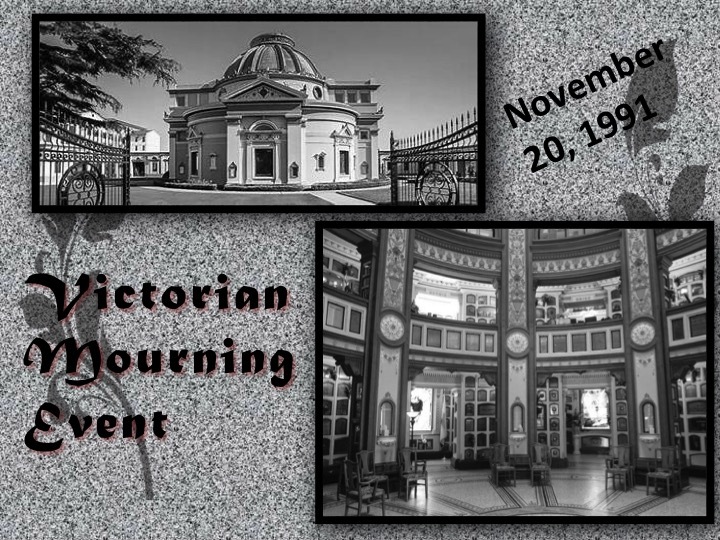 Family recollections tell us that Victor's family thought he had died and that they did not know what happened to him. I can't help but think he must not have parted with well with his parents. I can imagine he wanted to tell them about his new life and young family. I think they would have been proud of him. His sister Louise Clara Hedwig died in 1887 and his mother, the Baroness von Massenbach died February 21, 1888--did he know at the time? I think he might have found out at some point as he named my grandmother Hedwig. While traveling on business on February 24th he went to the Union Pacific railway station in Madison, Nebraska to catch a train to Norfolk. The station was closed, weather was cold and the train was late. 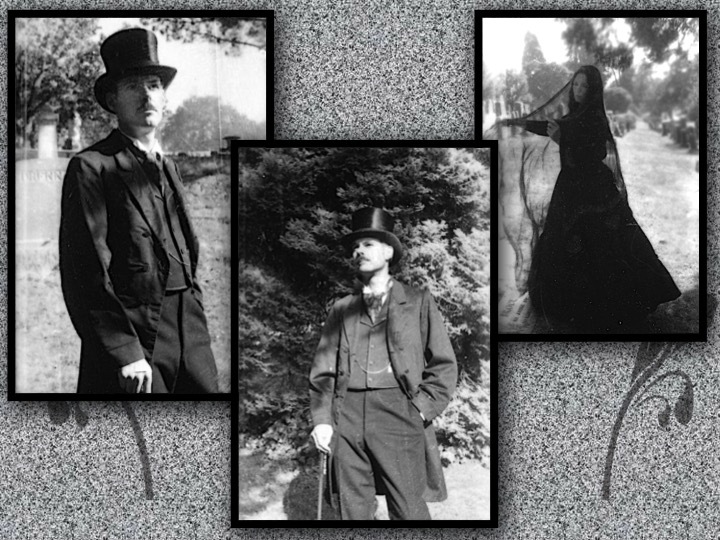 In his suit Victor claims he caught cold and lost his hearing as he laid in his sickbed. He is suing the company for $5,000. I did not find any article on the outcome of his suit, but I did find two articles about his court case. 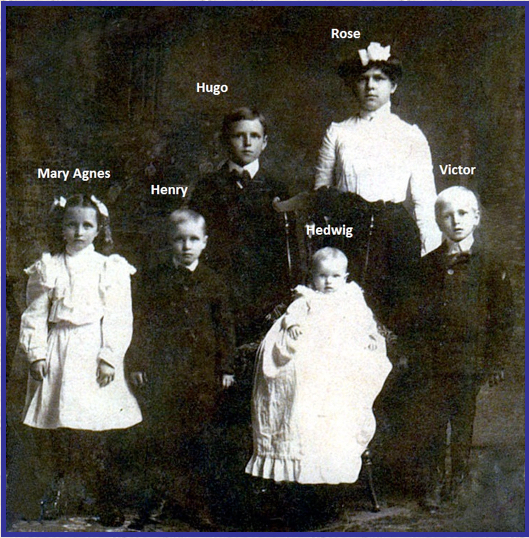 Victor and Annie’s last child, Hugo, was born on June 27, 1892 in Omaha, Nebraska. 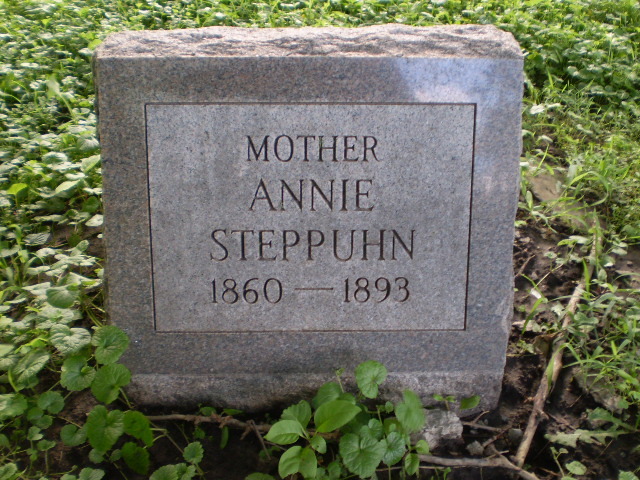 A little more than one year later Annie dies in Omaha on July 18, 1893 at the age of 33. Since I don’t have a copy of her death certificate I don’t know what Annie died of but one relative (Joanne Shea Monaco) says it was due to delivery complications--that would have been a long time to suffer since the baby was born in June and she died the next July. 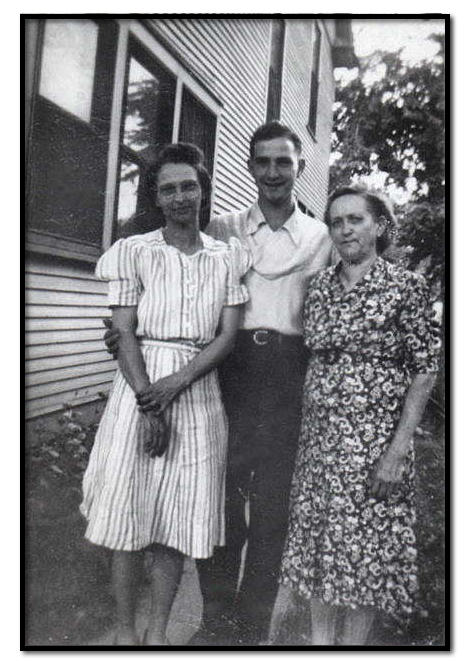 George Victor, Rose and Hugo Steppuhn - a few months after their mother's death. Chicago1893. 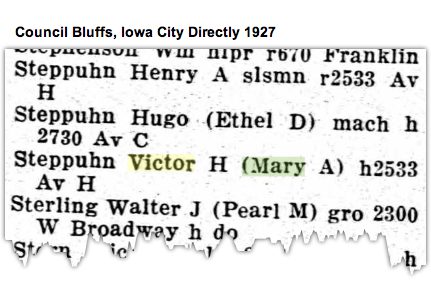 Sometime after Annie’s death, Victor packed up his children and moved some 100 miles to Carroll, Iowa. 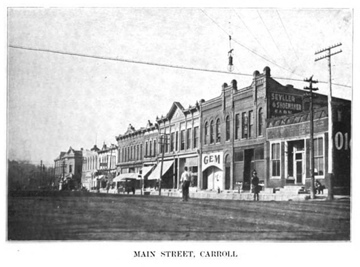 Carroll had a large German population including their own German-language newspaper—no doubt he felt right at home in Carroll. 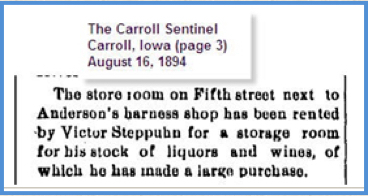 It appears he got busy right away availing himself of the opportunities in the heavily-German immigrant population of Carroll. 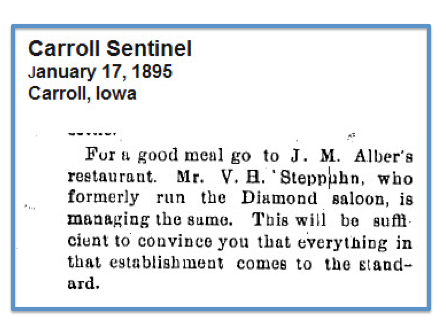 Victor H. Steppuhn, of Omaha, Neb., has purchased the Diamond Saloon, formerly owned by Mr. Wieland. Mr. S. comes to Carroll well recommended and with a good reputation and long experience in the trade he is engaged in, having traveled for many years for wholesale liquor houses, and intends to run a first class establishment. He is a native of Germany and invites his country people to call on him. He will sell the best kinds of goods at reasonable rates. 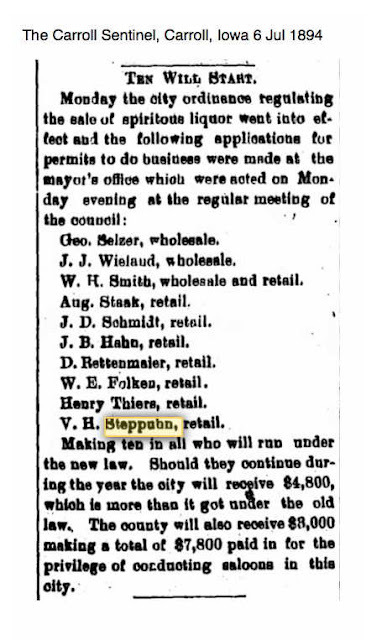 Call and see Mr. Steppuhn and he will use you well. By July he has applied for a "permit" to run a retail saloon and then puts an ad in the paper advertising his business in The Carroll Sentinel. In August he is renting more space for his stock of liquors and wine. The procedure under the Mulct law was that the prospective saloonkeeper would circulate a petition and get a certain number of signatures approving his operating the saloon. The Mulct law also set a number of other operating restrictions. 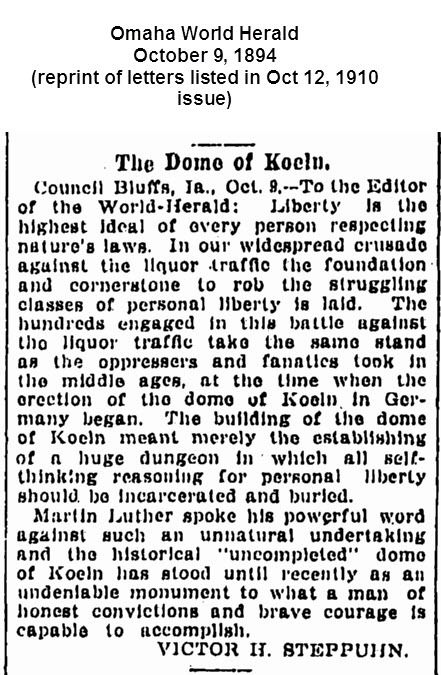 Enforcement was local. Any citizen could file a civil case against a saloon violating conditions of the act and get injunctive relief closing the saloon as a nuisance or setting conditions on its continued operation. (Click here to read article I gleaned this information from). 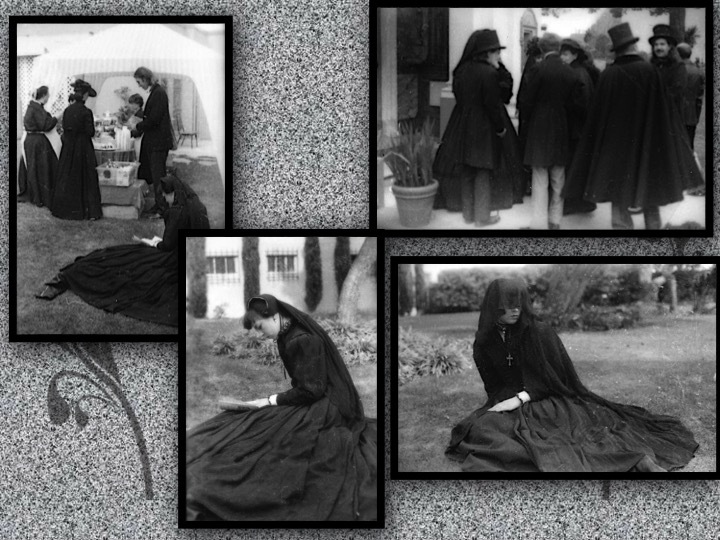 Mourning for a loved one in Victorian times was elaborate and infused with rules of how long to mourn and what you were to wear; well it mostly applied to women. 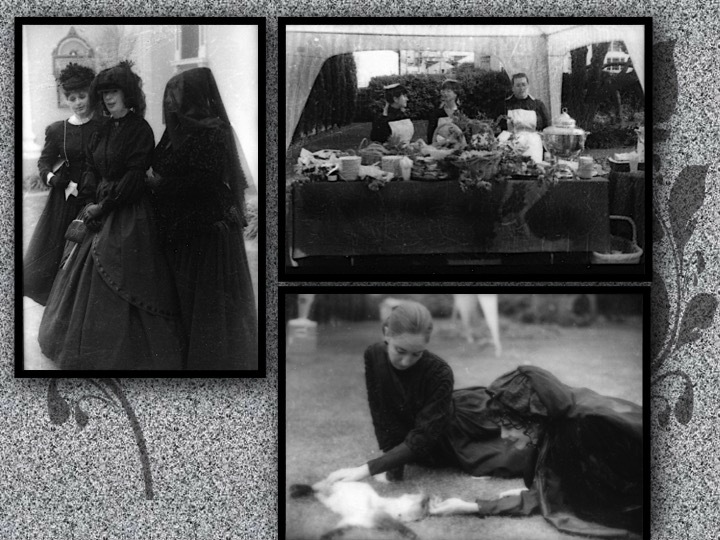 Women were expected to mourn formally for their husbands for two years. Men, however, could mourn for three months and then be free to re-marry. If they had young children they were encourage to marry as soon as possible so they had a helpmate for the children's sake. The Carroll Sentinel reported that a marriage license was issued to Victor and Miss Marie Ahrling on November 26, 1894. 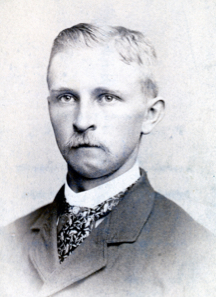 Mary had been in the employ of Joseph M. Drees, attorney at law who was born in Boston but came to Carroll in 1873. He also engaged in the insurance business and was an agent for a German line of steamers. Rev. 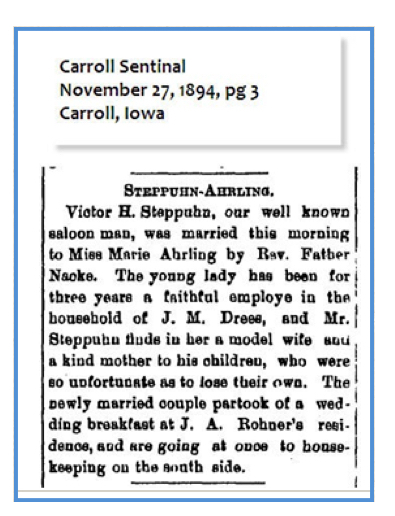 Father Joseph C. Nacke at Saints Peter and Paul Church married Victor and Mary on November 27, 1894. Father Nacke was born in Elsen, Westphalia, Germany. They had a wedding breakfast hosted by J.A. Rohner, a photographer. 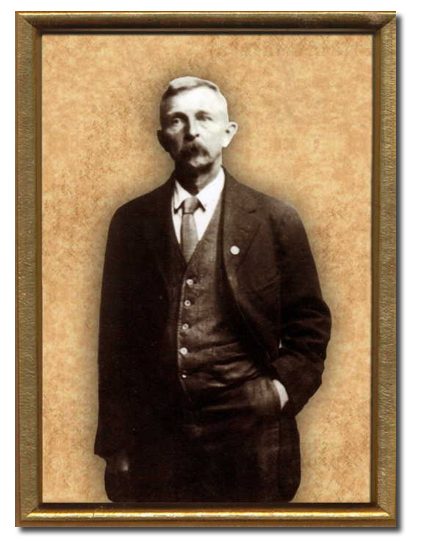 He was burned out in the great Carroll fire of 1879, left town, but returned in 1881 to resume his business. 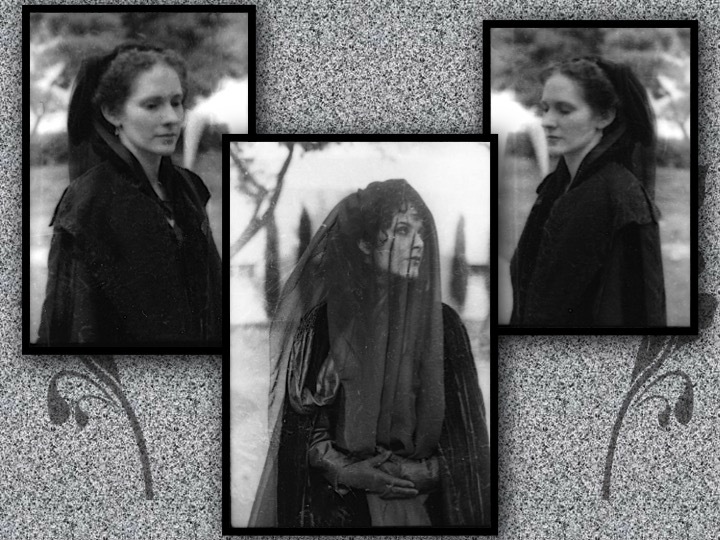 The article that mentions their wedding says that Mary should be a kind mother to his children and from all family accounts I have heard, she was indeed a very good stepmother to George, Rose and Hugo. In less than a year Victor is no longer the owner of the Diamond Saloon. He is now managing the J.M. Alber's Restaurant. 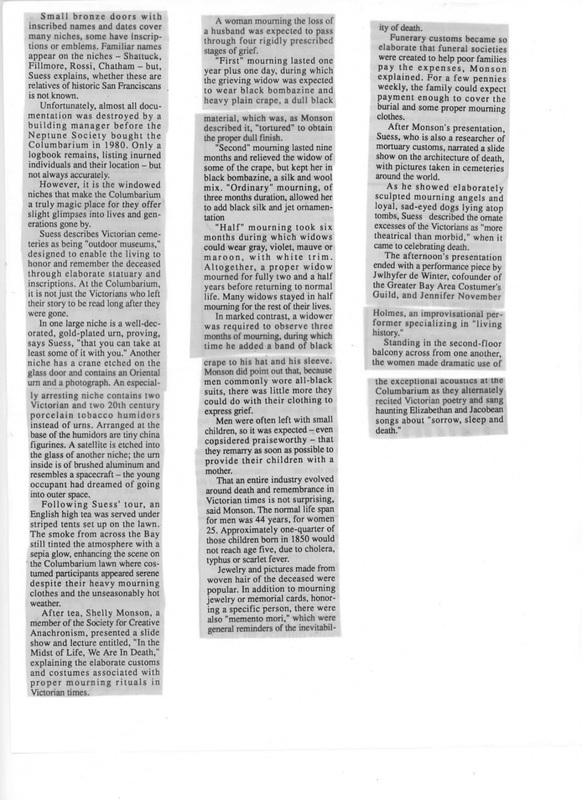 Seems he ran a good Saloon as the article points out with a promise you'll have a great meal and experience. 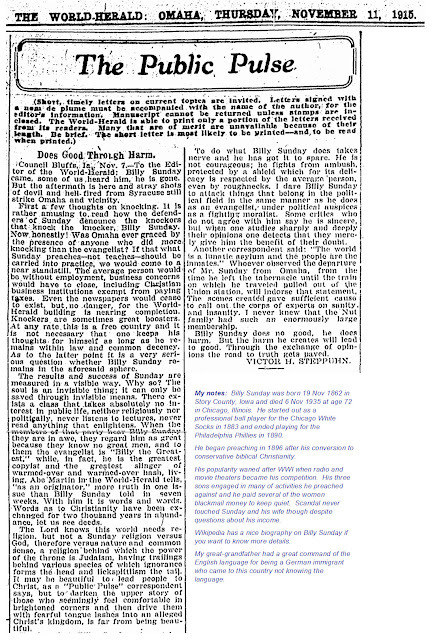 Even though he was not in the Saloon business a newspaper article from July 30, 1895 tells us he was in a court battle with Margaret Runkle to gain possession of the old brewery property. The jury found in favor of Margaret. 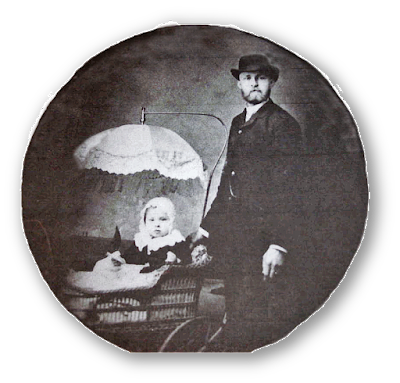 I recently found this article titled A Legal Outcast (on the left) where Victor had written an opinion piece for the Carroll Sentinel on February 21, 1895 regarding the mulet laws and how it pertained to the Diamond Saloon he owned. He was a partner in the business with a Mr. J.M. Albers and they got into a disagreement. His attorney argued that the court had no jurisdiction because the Saloon was an illegal business according to section 16 of the Martin mulet law. The case was thrown out of court by the judge and Victor wrote that "practically making the saloon in Iowa, even if operated under the mulet law, a legal outcast..."
I believe this is the reason Victor went into the restaurant business. This will not be first time we find articles written by Victor to local newspapers, he had quite a way with the pen; and this from a man who spoke no English when he came to this country--he had quite a command of this adopted language. 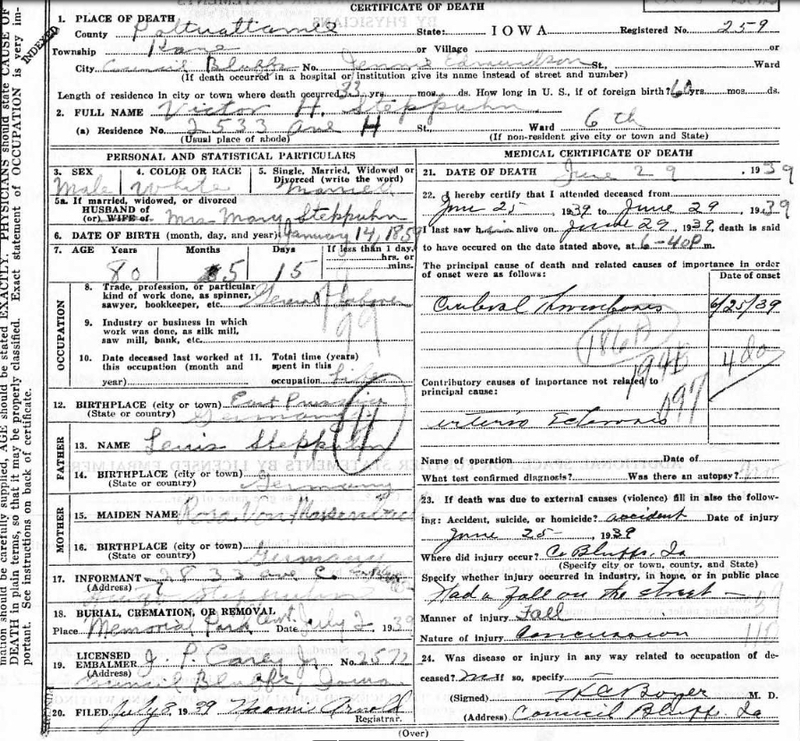 The 1895 Iowa Census shows the family still living in Carroll but at some point the family moves back to Omaha. 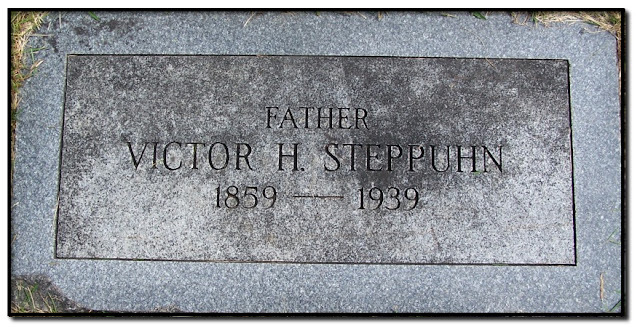 Mary and Victor's first child together, George Victor Steppuhn is born on September 28, 1896 in Omaha. 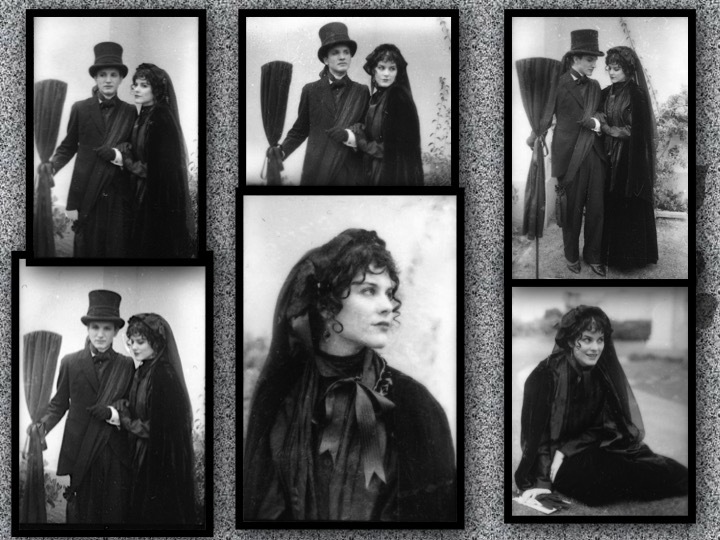 A little over a year later Mary Agnes is born on November 26, 1897. Henry Anthony follows on January 17, 1898. The Federal Census from 1900 shows Victor, now 41, renting a home at 2417 S. 29th St. in Omaha. He is a laborer and has been unemployed for 4 months. Mary is now 29 and has a very big family to take care of. Victor Hugo's 1900 Federal Census. Click on the picture to see expanded view. 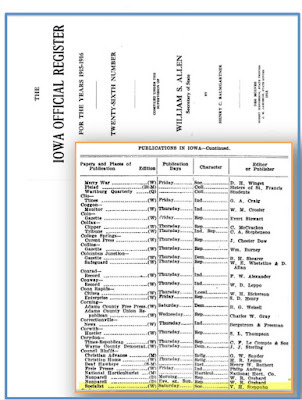 Census records are critical for family history and can give you very interesting information on the family. George is now 15, Rosie 13 and Hugo 8; all three are in school. Victor is 4, Agnes is 3 and Henry 2. On this Census Mary states she had 7 children but only 6 living so at some point they had a child that died young before 1900. 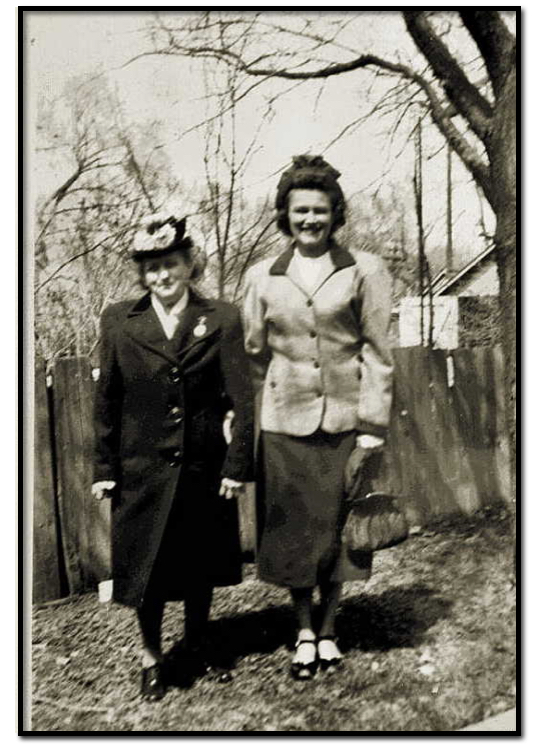 My grandmother, Hedwig Marie was born on July 29, 1903 in Omaha. 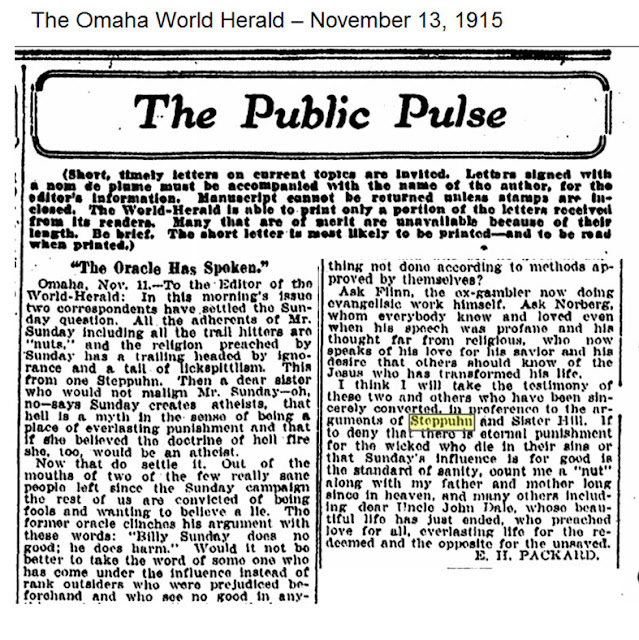 Sometime after her birth the family moves to Council Bluffs, Iowa, which is a little more than 5 miles east of Omaha. 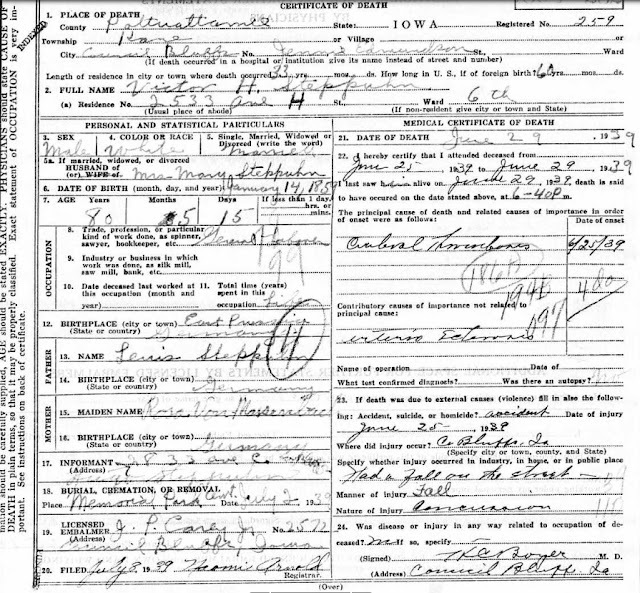 By 1905 oldest son George had been serving in the Navy and had been present when the USS Bennington had a deadly boiler explosion in San Diego, California on July 21, 1905. Sixty-six of the Bennington's 165 officers and men died in this tragedy. 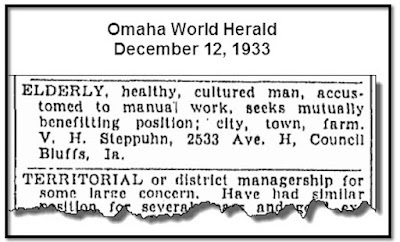 I found another "letter to the editor" from the Omaha World-Herald(right)--I tried to find the article he was writing about but no luck. He does have a way with words though. home with his occupation as laborer. 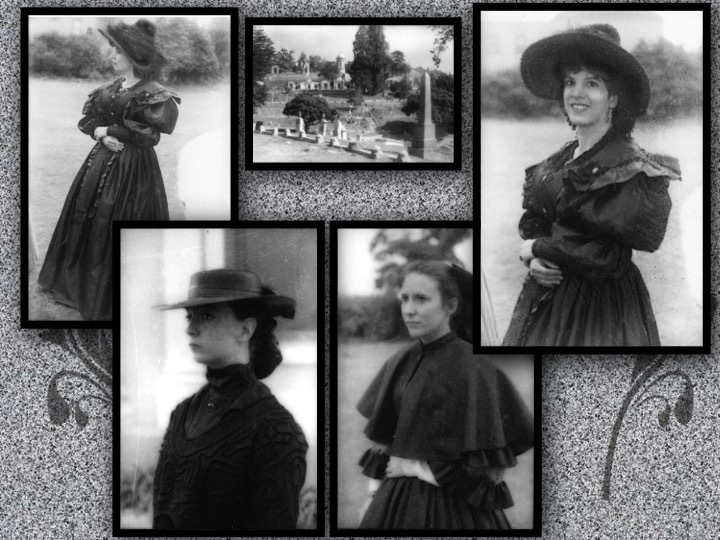 Mary states she had 8 children with 5 living so she had lost 3 of her own children with Victor over the years. Victor is 14, Agnes 13, Henry is 12, Hedwig 7 and Magdalene is 3. Avenue G and Victor, now 56, is still working as a laborer. But he also has another interest going on. 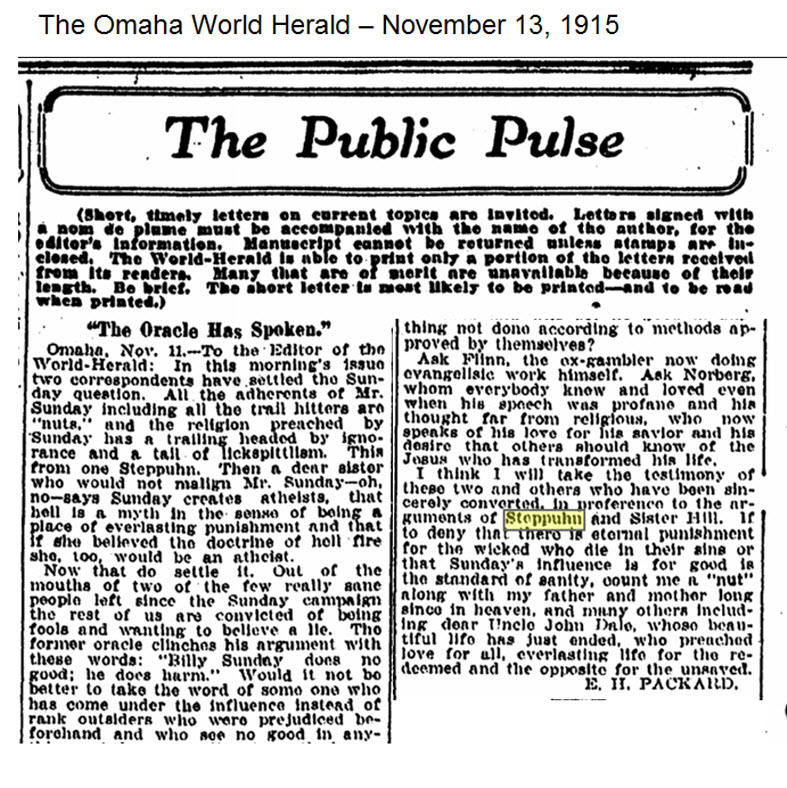 I found a document from the Iowa Official Register for 1915-1916 that shows Victor was the editor/publisher of a socialist newspaper published weekly on Saturdays. Old passions die hard it would seem for Victor. According to some, the roots of socialism in America came with the arrival of German immigrants in the 1850s. The socialist party in America was born and grew dramatically between 1900 and 1912. 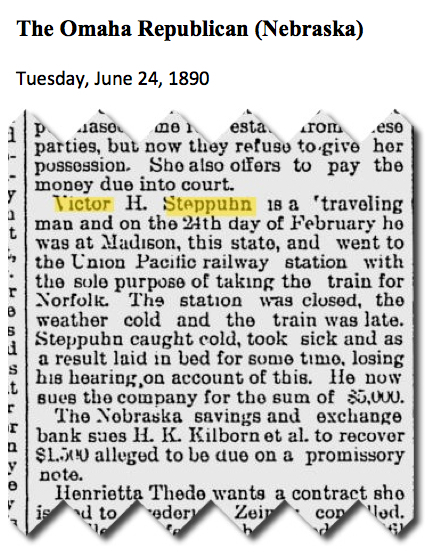 At one point Socialists published 300 some newspapers--looks like Victor was one of them. 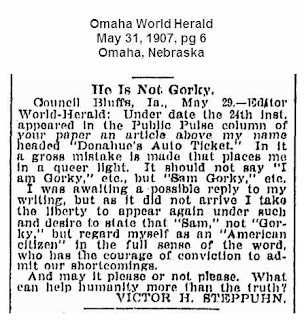 In addition to writing his socialist newspaper, Victor also wrote to The World-Herald. 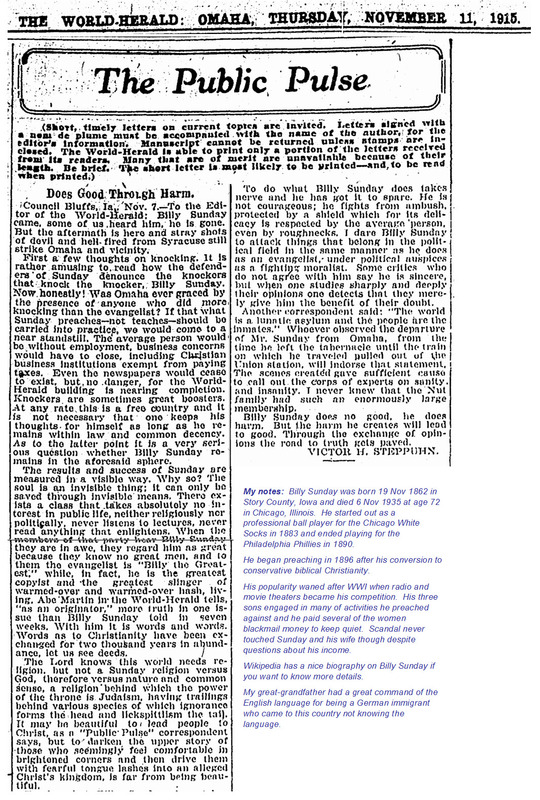 This column were his thoughts on the preacher Billy Sunday. To say the least, Victor was not a fan. 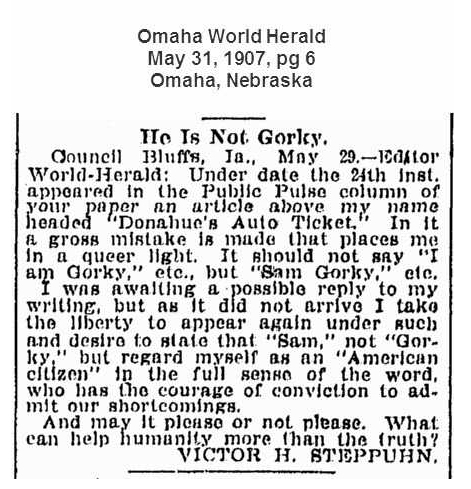 There was a response to Victor's opinion piece by a Mr. E.H. Packard. The family owns their home at 2533 Avenue H in Council Bluffs. Victor is now 60 years old and working as a Laborer for a contractor. Mary is 48 and keeps house. Henry is 21 and is listed as having no occupation. Hedwig (my grandmother) is 17 and works as a Cashier at a department store. Magdaline is 12 and Eugene is 8. Victor is listed as 66 years old and he owns the house at 2533 Avenue H which is worth $4,000. Victor states he finished the 12th grade and has been in the U.S. for 45 years. Mary, 53, finished the 5th grade. Henry is 27 and states he finished the 4th grade. Magdaline is 18 and finished the 10th grade and Eugene is 13. Victor lists his religion at Lutheran; all the others are Catholic. 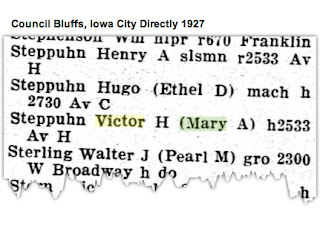 Victor's daughter, Hedwig is on the previous page of the 1925 Census from her father as she and her family live very close by. 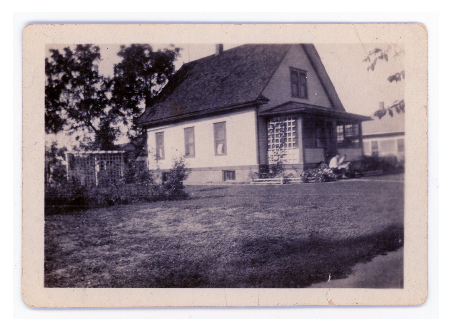 This directory (left) shows Victor and Mary living at 2533 Ave H, Henry is a salesman and lives with Victor and Mary. 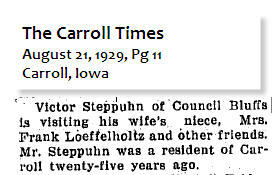 Hugo, a machinist, and his wife Ethel live at 2730 Ave C.
On August 21, 1929 The Carol Times report that Victor was visiting his wife's niece, Mrs. Frank Loeffelholtz and other friends since he lived in Carroll some 25 years previous. 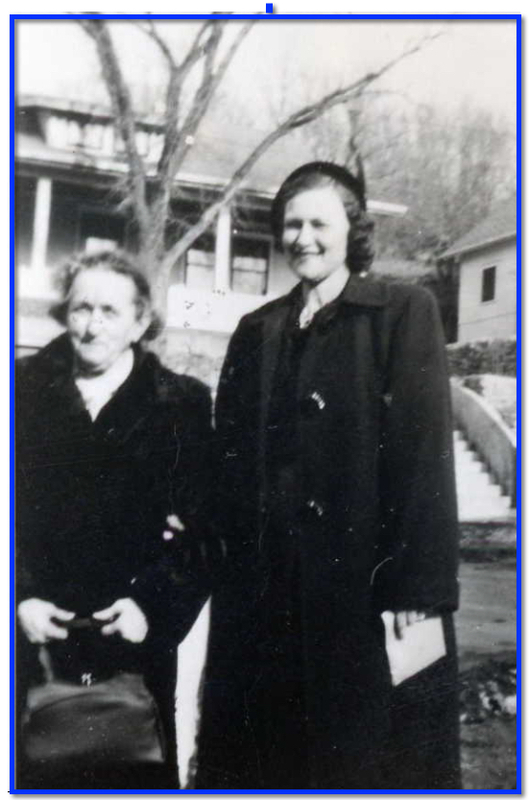 Mary's niece is Mary Christina Ahrling, the daughter of Mary's sister Bernadine Ahrling. It must have been fun going back to Carroll and connecting with his old friends and seeing how much the town had changed. 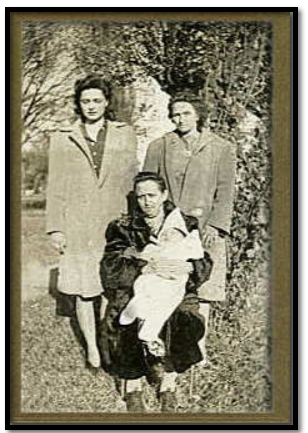 The 1930 Federal Census find Victor, now 71 years old and Mary, now 58, living with their son Henry. 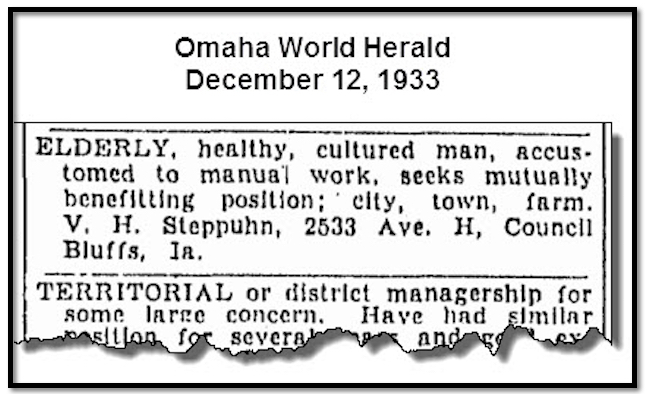 Henry is 32 and single and living at 2533 Avenue H in Council Bluffs, Iowa. Henry lists his occupation as Traveling Salesman for a real estate company. It also shows that he owns the home and it's worth $4,000. Eugene is 18 and is a laborer at odd jobs. Note: The house is still there and from a real estate site is estimates the house is worth $128,220. It's not the best copy but there was a newspaper article about a German Concert held in Council Bluffs in 1930 with Victor front and center enjoying the music. I sometimes speculate what Victor's life might have been like if he's stayed in Germany, would he have stayed in Germany during Hitler or moved to another part of Europe. But I believe he had a rich and full life here in America and and laid the foundation of a very large family that continues to this day. My dad's cousin Joanne Shea Monaco also sent along a photo of Victor on his daily walks with a large bag of treats for the children he met along the way. I also found another article that spoke to Victor's zest and determination for life--his own personal want ad. 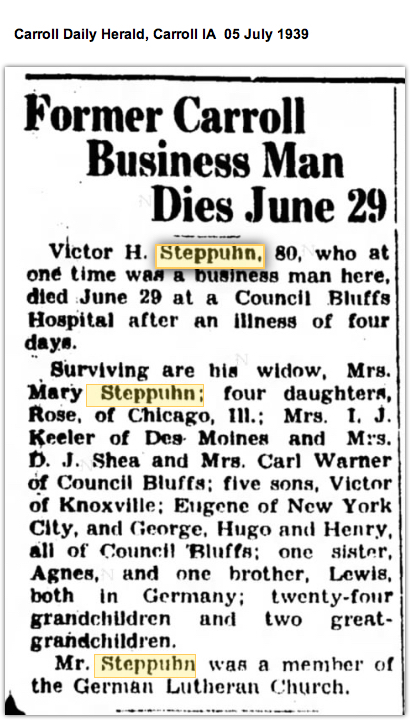 From cousin Joanne Shea Monaco "Grandpa Steppuhn loved to take walks every day over the streets of Council Bluffs and visit his grandchildren. 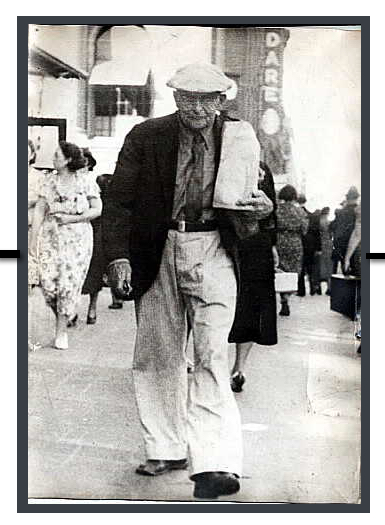 He carried a gunnysack containing goodies for all he visited." 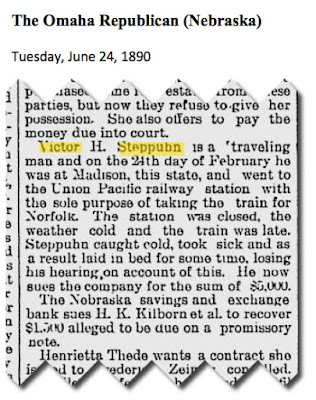 On June 29, 1939 Victor died due to a cerebral hemorrhage due to a fall on the street (he did love his walks) that also resulted in a concussion. According to his Death Certificate his doctor attended him from Jun 25 until his death on the 29th. Victor was 80 years, 5 months and 15 days old. I don't have documentation on what happened to Mary when Victor died but the 1940 Federal Census shows that she is living with her daughter Hedwig Marie Steppuhn Keeler (my grandmother) and her family. Irwin "Jack" Keeler, my grandfather is 42 years old and the Branch Manager for Collier Publishing. 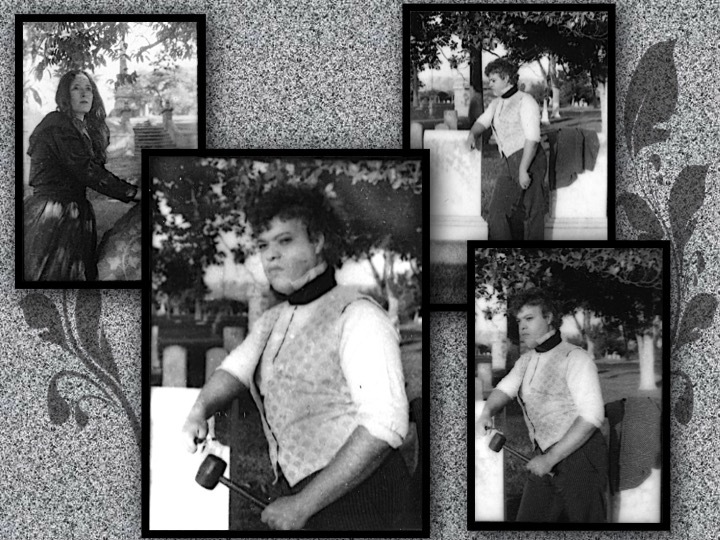 My Uncle Jim (Victor James Keeler) is 17 and attending school. My father, Jack Daniel Keeler is 14 and my Aunt Jere is 8, both also attending school. Lance's mother, LoRayne Shea Went. 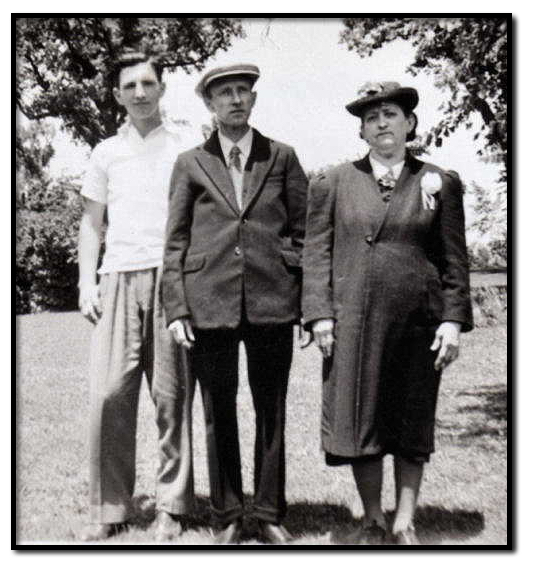 About 1942: Left to Right - Jack Keeler Snr (my father); Victor Steppuhn and Mary Agnes Ahrling Steppuhn. to Victor, his brother George and sister Rose. 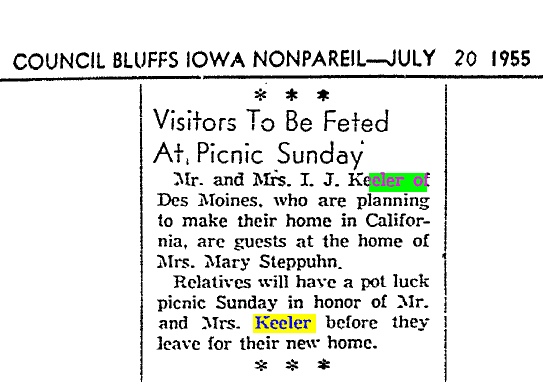 From the article below Mary, now 83 years old, hosted a Sunday picnic for her daughter and son-in-law because they planned move to California (which they did not do, they lived their whole lives in Iowa). They were guests in her home which tells me Mary eventually had her own home again but I have no record of where that is. 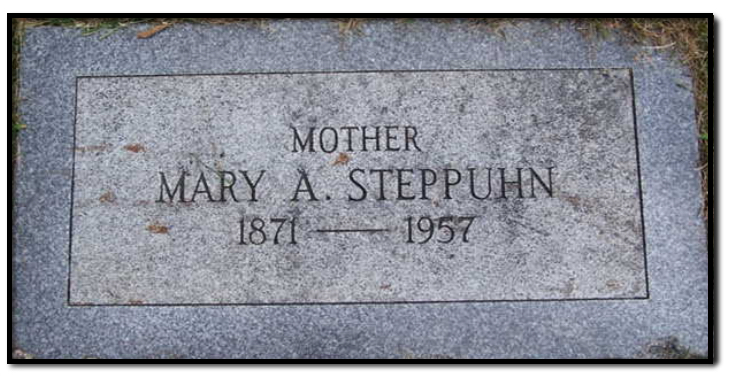 great grandmother Mary Ahrling Steppuhn and her daughter Madeline (who I called Aunt Maggie). 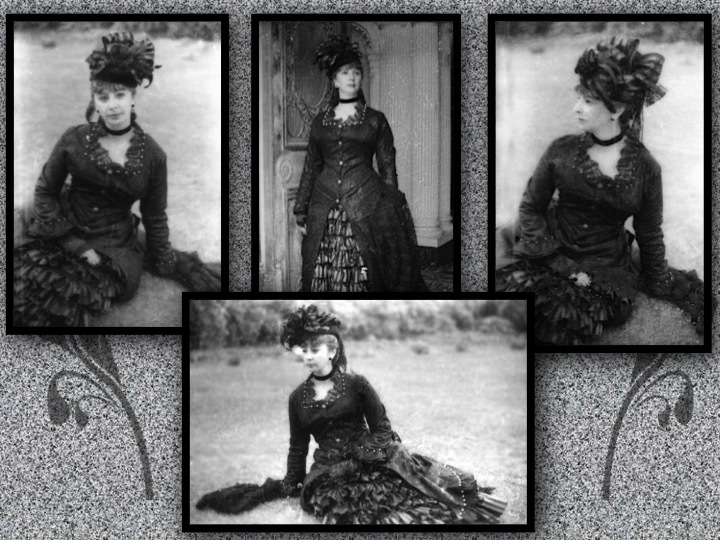 Just after Christmas Mary passed away on December 29, 1957. 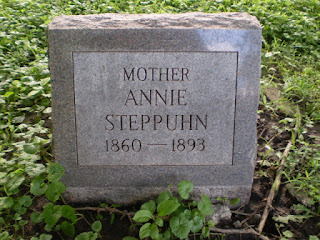 She is buried with Victor at Memorial Park Cemetery in Council Bluffs, Iowa in a plot on the Hillside section.